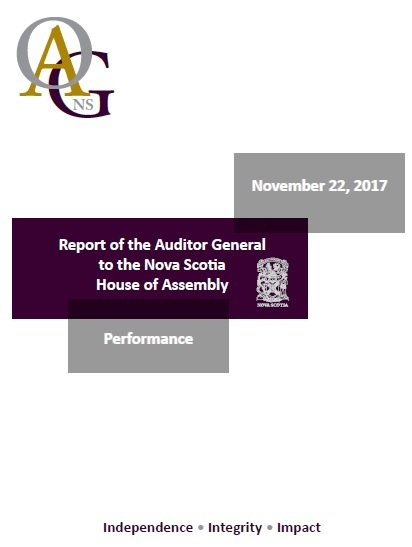 Nova Scotia Auditor General, Michael Pickup, released his November 22, 2017 report on health-related topics to the House of Assembly. 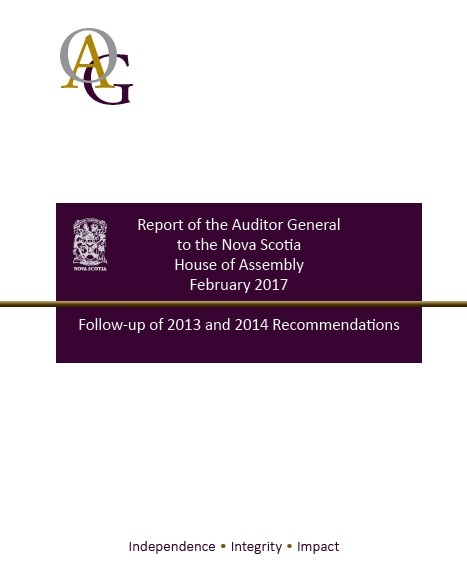 The report includes three audit chapters. See below for chapter titles and links. 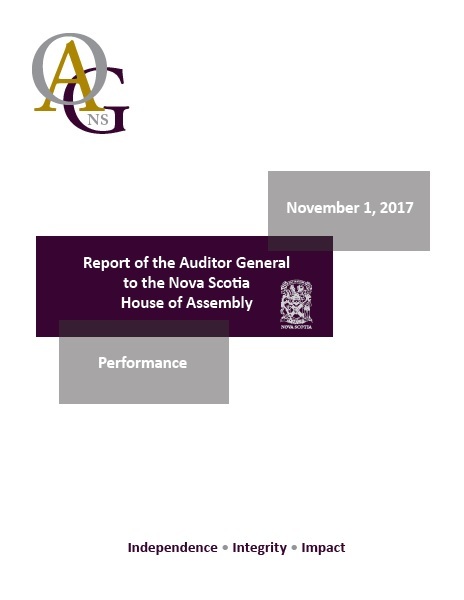 Nova Scotia Auditor General, Michael Pickup, released his November 1, 2017 report on environment-related topics to the House of Assembly. 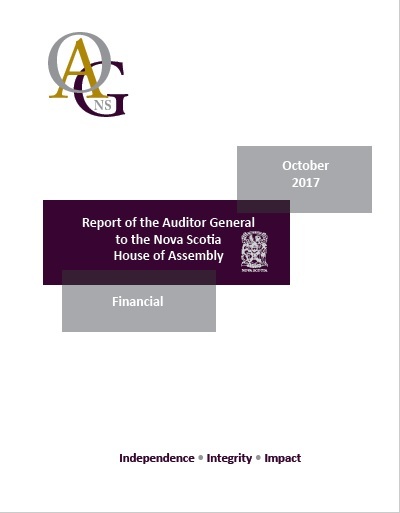 The report includes two audits (Chapters 3 and 4) and two information pieces (Chapters 1 and 2). See below for chapter titles and links.